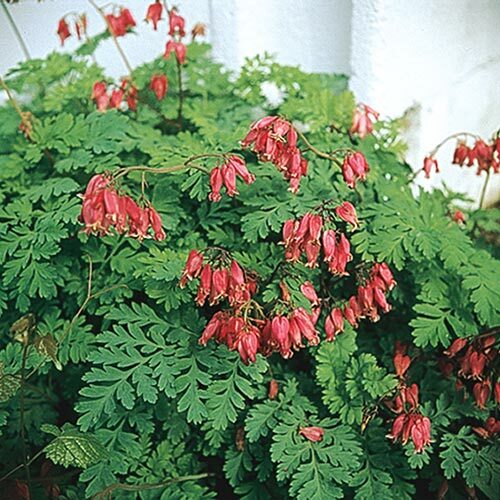 Sweet, rose-pink, heart-shaped pendant flowers accent handsome incised leaves, similar to fern fronds. 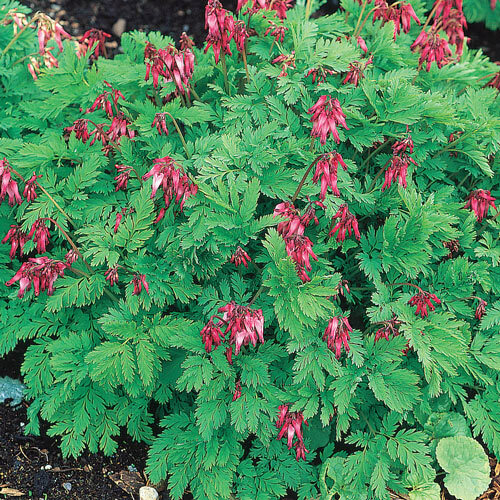 This unique variety is versatile and reliable, staying at a manageable size at around 15 inches and blooming all summer long. Native to North America, enjoy its blooms from late spring intermittently until frost. Foliage TypeGray-blue foliage finely dissected and fernlike. Soil RequirementsWell-drained with a high humus content. PruningSelf-seeds. Seedlings are easy to transplant. Winter CarePlant in locations that are protected from high winds and early frost.